It seems that everybody has one — the enigmatic distant relative with a dark past that becomes the stuff of family folklore. 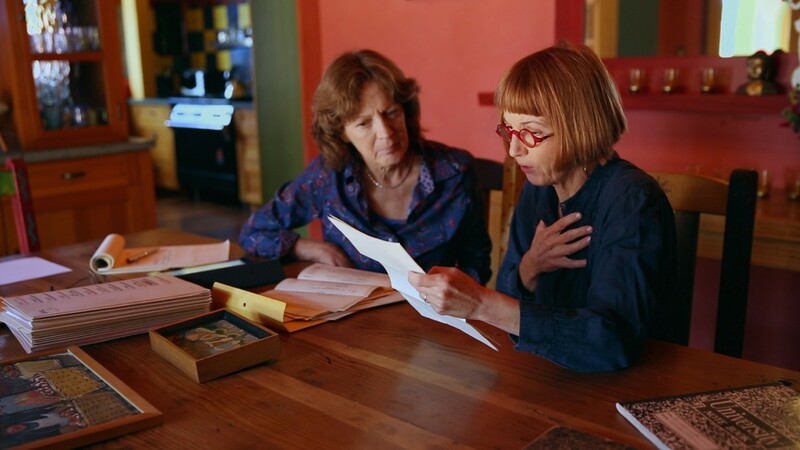 But in the case of Emmy Award-winning writer-director Jane Anderson, her great aunt Edith turned out to be so much more than romanticized, multi-generational mythology. Edith’s journey emerging as an aspiring young artist to being committed to an asylum in 1924 never to be heard from again proves that some family stories are worth exploring. And viewers of the upcoming HBO documentary Packed in a Trunk: The Lost Art of Edith Lake Wilkinson, get to travel with Anderson as she unearths the many mysteries of her great aunt’s tale. Edith’s story begins long after her death when Anderson’s mother discovered a trunk full of the artist’s paintings. Immediately taken with the artwork, Anderson’s mother rescued them and filled her childhood home with the colorful paintings. But Anderson wouldn’t come to know of Edith’s colorful past until she was older. Anderson was also fascinated by Edith’s tragic story. But she knew only limited details about her longtime companion Fanny and the attorney George Rogers who mismanaged her money and ultimately had her committed to an asylum. Regardless of the dark details of the past, Anderson is always drawn back to the art itself. After several previous attempts to bring Edith’s work to the world, Anderson focused her attention on her own career. Directing television shows like The Facts of Life, The Wonder Years and Mad Men and writing projects like The Positively True Adventures of the Alleged Texas Cheerleader-Murdering Mom for which she won an Emmy in 1993. But first, Boyaner had to convince Anderson to appear on camera in the doc. With only one photo of Edith in their possession and more questions than answers about her, the team needed a face for the film. As a result, the film becomes as much of a story about Anderson and Ayers as it is about Great Aunt Edith. But the revelations they make about the long lost relative are both historicially important and mystically charged. Packed in a Trunk: The Lost Art of Edith Lake Wilkinson airs tonight, July 20, on HBO at 9 PM EST/PST. And if you have any information about Edith Lake Wilkinson contact Jane Anderson at the project's official website.